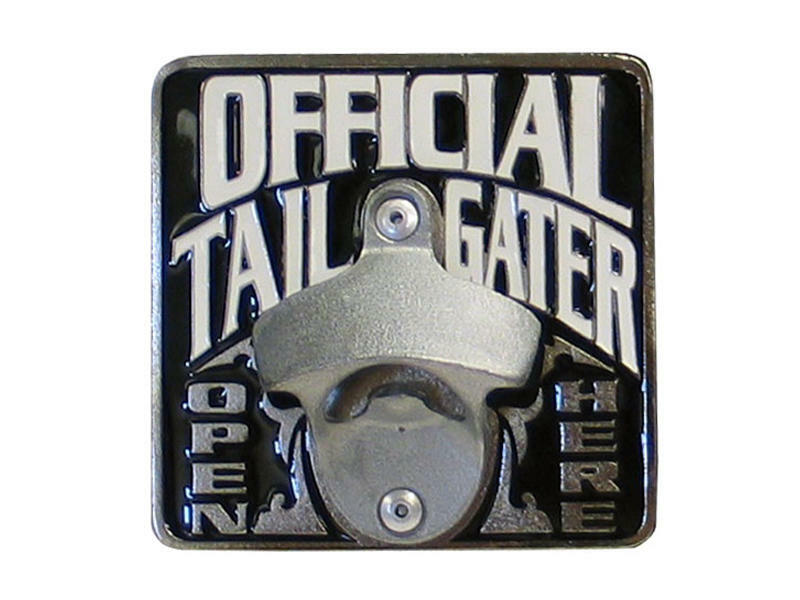 Hitch cover & bottle opener lets everybody know whose bandwagon you're really on. Durable, rustproof, noncorrosive alloy. Epoxy-painted logo. Fits 2 inch receivers.